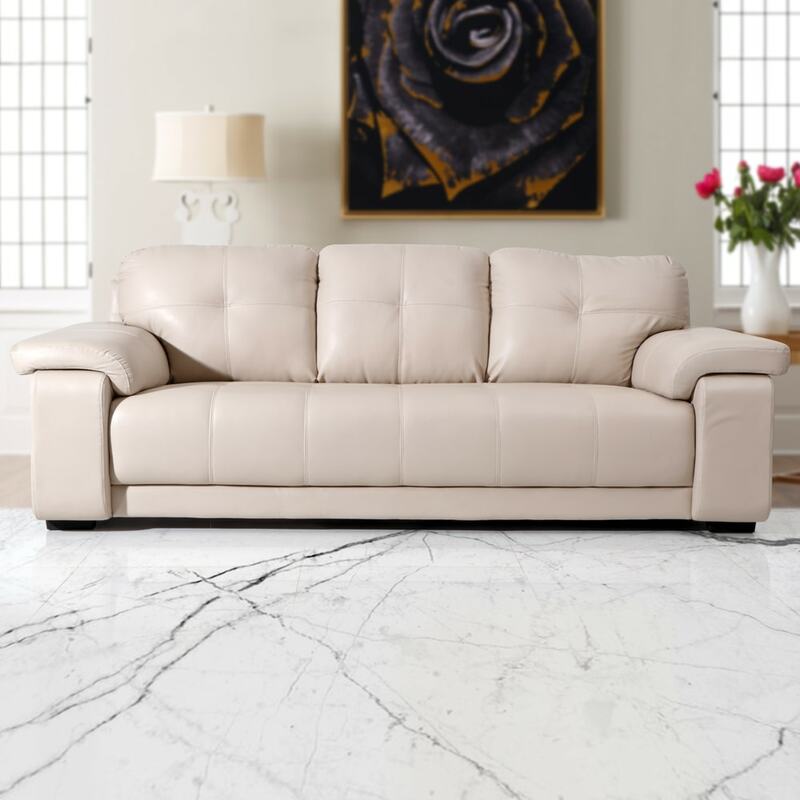 Bring stylish flair to your living room with the Marina New Leatherette 3 Seater Sofa – Beige. The fully upholstered sofa comes with specially selected, high quality art leather, and has a frame constructed from kiln-dried hardwood. This results in a truly sturdy frame, with a soft luxurious finish. For your comfort, the seat has been made with high resilience foam, with an added layer of polyfill. However, the sofa remains firm enough due to the presence of S-springs and special webbing. The tufting on the sofa, and the double thread stitching truly makes this piece one to cherish. You can choose to buy this piece from our online furniture site, or visit any of our 25 furniture stores across India for the best deals in home furniture.